The education of children with disabilities along with usual students will be financed from the budget. President Petro Poroshenko has referred to parliament a draft law on inclusive education in Ukraine. The bill provides for the education of students with special educational needs in general educational institutions that are most comfortable for such children and are close to their place of residence, the presidential website reported. The bill introduces the terms "person with special educational needs", "individual development programme" and "corrective-educational and psycho-educational services." The bill says that education of persons with special educational needs must be paid for using subventions from the state budget to local budgets. 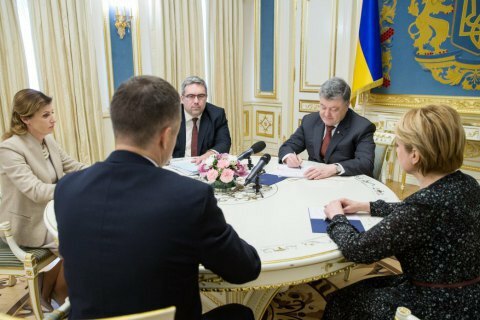 Poroshenko called on MPs to support the legislative initiative in the coming parliamentary weeks. He called the bill extremely relevant, noting that 10 per cent of Ukrainian school students require special attention to their educational requirements. Inclusive education is the joint education of children with disabilities and children who do not have such restrictions.